Space is limited—registration AND webinar login are first come, first serve! Why Should I Attend University Outreach? area of interest in particular) as seen by leading researchers. university-private industry partnerships. Learn about the application process. with presenters. Sign up to present your research efforts. convenience of your school, office, or home. DTRA pursues research opportunities with academia, small and disadvantaged businesses, as well as with industry and national laboratories. 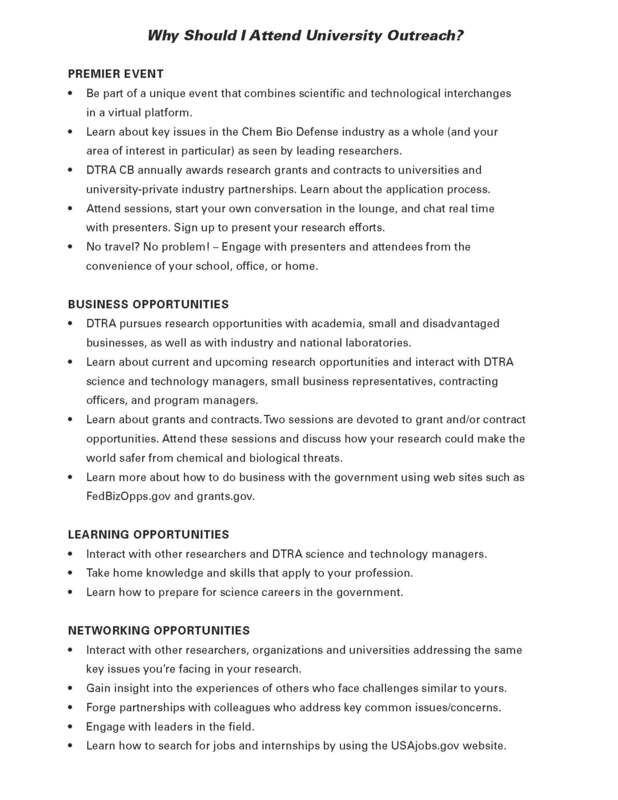 Learn about current and upcoming research opportunities and interact with DTRA science and technology managers, small business representatives, contracting officers, and program managers. Learn about grants and contracts. Two sessions are devoted to grant and/or contract opportunities. Attend these sessions and discuss how your research could make the world safer from chemical and biological threats. Learn more about how to do business with the government using web sites such as FedBizOpps.gov and grants.gov. Interact with other researchers and DTRA science and technology managers. Take home knowledge and skills that apply to your profession. 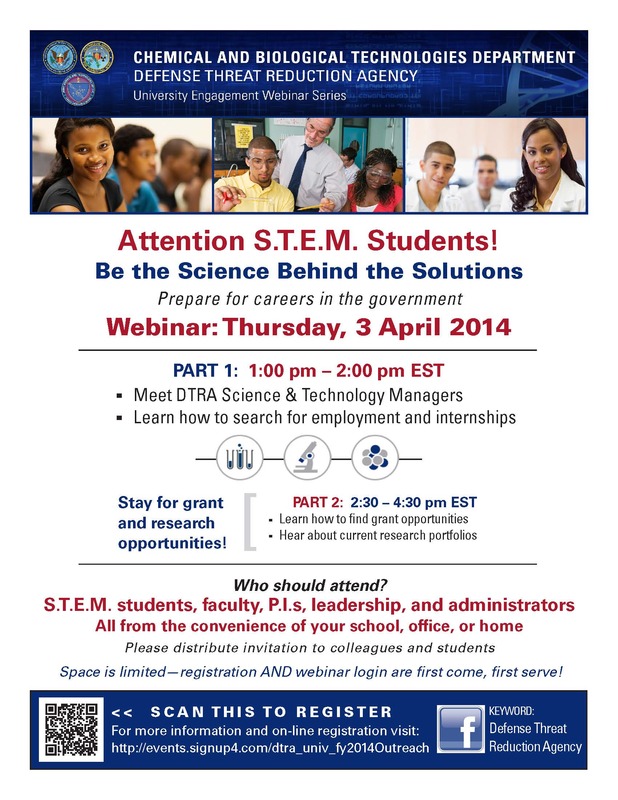 Learn how to prepare for science careers in the government. Interact with other researchers, organizations and universities addressing the same key issues you’re facing in your research. Gain insight into the experiences of others who face challenges similar to yours. Forge partnerships with colleagues who address key common issues/concerns. Engage with leaders in the field. Learn how to search for jobs and internships by using the USAjobs.gov website.